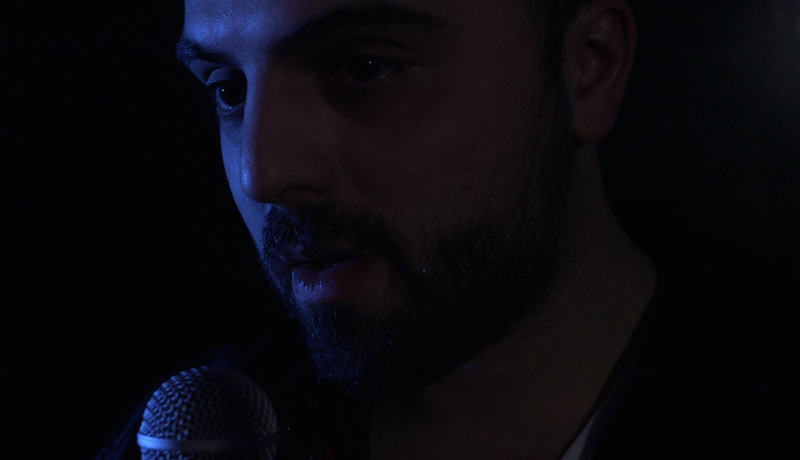 Please check out this link for a short film I’m working on. I think it’s a relatable concept and I’d really appreciate any support you can offer. It means a lot! Mark and Jay Duplass exhibit the mundane elements of everyday life with The Puffy Chair, a road-trip film that explores these banalities as its self-centered characters go on a journey yet essentially do nothing extraordinary except watch television and disagree with each other. This quasi-documentary glimpse into the triteness of life utilizes naturalism and a low-budget style that diverges from conventional Hollywood filmmaking. 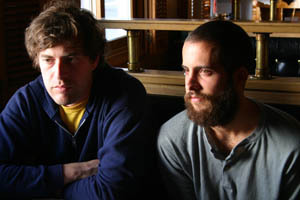 The Duplass brothers satirize interpersonal issues when blurring the lines between their real and fictional relationships, with family members and significant others playing parts alongside Mark Duplass in this independent film. With breakdowns in communication, the duo mocks the quickness of romantic relationships in Hollywood films, questioning viewer’s acceptance for this hyper-compressed construction of time. Through presenting failures in communication as an antithesis to Hollywood conventions, The Duplass brothers’ mumblecore film anticlimactically and naturalistically shows the disintegration of romantic relationships. With the approach toward naturalism, the camera often spins around in search of the action rather than knowing where the next moment takes place. Comparable to Dogma 95 films, no shots exist without the shakiness of the digital camera recording the action like a home video. Minimal sets and no special lighting also become evident, enhancing the sense of real life similar to other independent films of the 2000s like Half Nelson. In doing so, the Duplass brothers look at relationships through the comedy and entertainment that comes from moment-based, dysfunctional scenarios rather than life-altering, climactic events. Regarding relationships of even unlikable characters, this brings viewers a more genuine identification that Hollywood films cannot re-create without this unpredictable, home-video style. Rhett and Amber’s relationship comes without much build-up. The film stops following them in what seems like an eventful day after they meet. Instead, it stays with Joel and Emily in all their dullness, watching television and talking. This does not further the plot other than exhibiting the unexceptional happenings of everyday life, not letting the film skip over any of these mundane activities in pursuit of something more interesting somewhere else. Viewers only see the promise of Rhett and Amber’s first encounter, yet the suddenness of their marriage forces the audience into dooming the relationship rather than interpreting it as a hopeful scenario. Joel also acknowledges the ridiculousness of the situation, yet he allows for suspending his disbelief during the surprise engagement party that escalates into becoming a wedding. The Puffy Chair’s strength as an independent rather than big-budget, studio film comes from its improvisational style. This quality occurs not only with performances, but also with the cinematography. A camcorder aesthetic gives an impromptu sense of unscripted urgency when the camera, often refocusing and providing extreme close-up, gives viewers an intimacy with the characters while maintaining an atmosphere of movement and spontaneity. Though reliant on this spontaneity, this wedding scene makes an overt effort at scripting lines when Rhett repeats his wedding vows after what Joel dictates. Still, unlike the performances for typical, Hollywood films, Rhett cannot say the lines verbatim even within moments of Joel’s dictation. 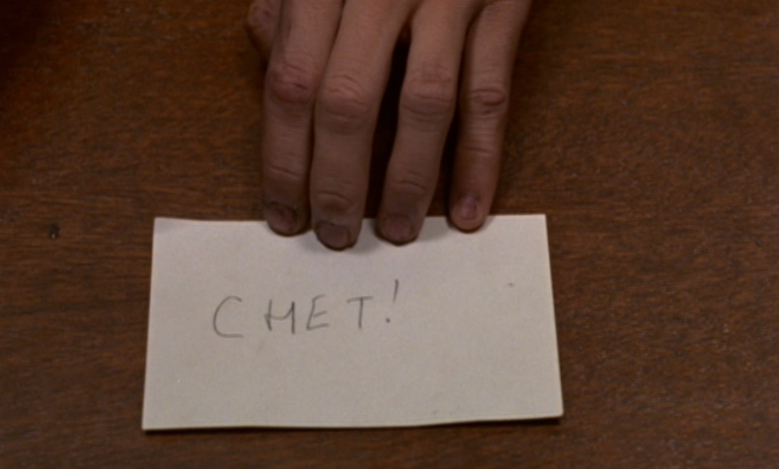 In this scene, Rhett also makes minor alterations to his brother’s words, exemplifying the immediate disconnect between the way the characters communicate in the film as well as Rhett’s incapability in promising commitment to Amber. This scene also makes an anticlimactic parody of the fast-paced romances in Hollywood films; Rhett meets his wife and ends their relationship within a day. In her article, “Against Hollywood: American Independent Film as a Critical Cultural Movement,” Sherry B. Ortner says, “Where Hollywood films seek to provide escape and fantasy, independent films seek to tell realist or hyper(bolic)-realist stories about the world as it really is, in all its ugliness and cruelty, or all its weirdness and strangeness…” (Ortner 10-12). Ortner describes how Hollywood idealizes situations in a way unlike independent films. Emily, Joel’s girlfriend who deludes herself with romanticizing relationships, falls into this Hollywood mentality that separates her from Joel. Emily spends her free time watching movies and hoping for pop-culture reenactments, like Joel holding speakers outside her window. 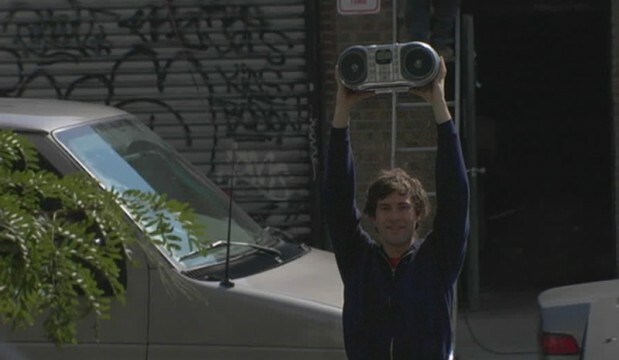 These moments also show that other films exist as fictions and entertainment for parodies within the world of this Duplass brother’s mumblecore. In creating these Hollywood ideals, Emily convinces herself of the possibilities for an unrealistic, happy ending for Rhett and Amber even though the relationship disintegrates as fast as it ignited. Even the eBay-bought chair, which Rhett believes taints their group relationship, meets an anticlimactic end. Rhett lights it on fire and within that minute, a stranger extinguishes it, putting out the flames to a potentially dramatic instance without letting the moment build up. The moment becomes prosaic in the same way Emily and Joel’s relationship dissolves without a grand payoff. In the opening scene, when Emily and Joel fight and she storms off, this dramatic occurrence fizzles when Joel walks back inside his house instead of chasing after her. Later in the film, Joel says, “There’s a lot of things in this world we pursue that seem really important to us and we get wrapped up in.” In a Hollywood film, one attributes this pursuit to winning over the significant other. In this film, Joel fights harder for the trivial upholstering of an unappealing chair than for his relationship. The final scene also removes itself from Hollywood conventions by rejecting the happy ending. As Ortner writes, “…Hollywood films are in the business of fantasy and illusion, independent films… are usually highly realist; and finally, where Hollywood films classically have happy endings, independent films rarely do” (2). Here in the film’s final moments, Joel and Emily break up. While they argue with each other throughout the film, no big fight occurs within their splitting up. They make an amicable departure to their relationship, hugging each other for closure to a relationship they leave behind. 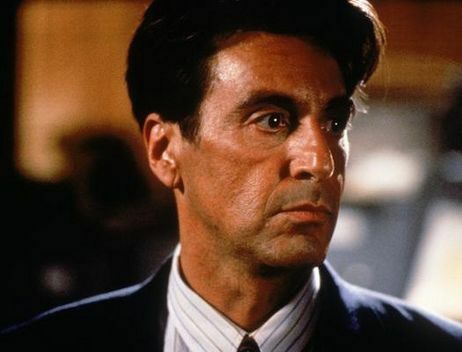 Dissimilarly, Hollywood films prefer the happy, boy-gets-the-girl endings or scenes of aftermath in showing how characters cope with the break ups, like with He’s Just Not That Into You’s network narrative exemplifying each of these scenarios. The Puffy Chair provides neither of those alternatives. Instead, it opts for authenticity, especially with Mark Duplass and Katie Aselton being a couple while playing the parts of two people in a relationship. In addition, the non-actor parents of Mark and Jay Duplass play Joel and Rhett’s parents in the film. By doing so, The Puffy Chair creates an overlap between real life and the fictitious plot of the film by blending actors and characters. This authenticity and naturalism gives viewers the impression of watching what happens in the real world rather than an upbeat ending one hopes for in a conventional, Hollywood comedy. If Hollywood films sugarcoat or sweep away the harsh realities of opposites attracting in relationships or sudden romance, independent films such as The Puffy Chair use tough love for reminding viewers of the problems present in these scenarios. Unlike Hollywood films, The Puffy Chair approaches break-ups as the result of rushed relationships where characters lack commitment. The lack of communication between Emily and Joel exemplifies two people with different agendas. She wants marriage while he confronts her for unrealistic expectations of him. They stay together until the randomness of life happens on a road trip where they learn their differences, break up, and implicitly move on. The Duplass brothers mimic the naturalness of real-life disagreements, like neorealist films do in presenting the everyman and using non-professional actors for authenticity, instead of giving viewers an escape into the excitement of studio-concocted productions about finding everlasting love. In a way, The Puffy Chair even makes a joke of seeking excitement from Hollywood cinema when Rhett says, “So we pretty much have the whole day to do nothing,” which they do, so they go see a movie. Half Nelson. Dir. Ryan Fleck. Screenplay by Ryan Fleck and Anna Boden. Perf. Ryan Gosling. Thinkfilm and Hunting Lane Films Present, 2006. DVD. He’s Just Not That Into You. Dir. Ken Kwapis. Screenplay by Abby Kohn and Mark Silverstein. Prod. Drew Barrymore. Perf. Justin Long, Jennifer Aniston, Ben Affleck, and Bradley Cooper. Warner Bros., 2009. DVD. Ortner, Sherry B. “Against Hollywood: American Independent Film as a Critical Cultural Movement.” HAU: Journal of Ethnographic Theory 2.2 (2012): 1-21. HAU Journal. Web. 6 Dec. 2013. 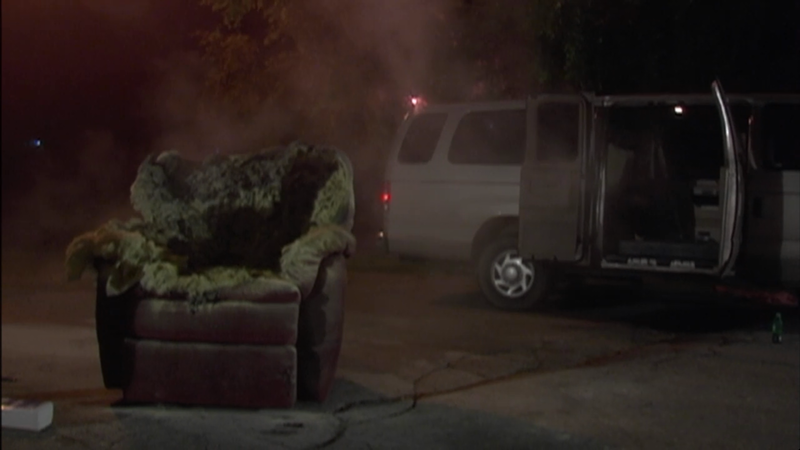 The Puffy Chair. Dir. 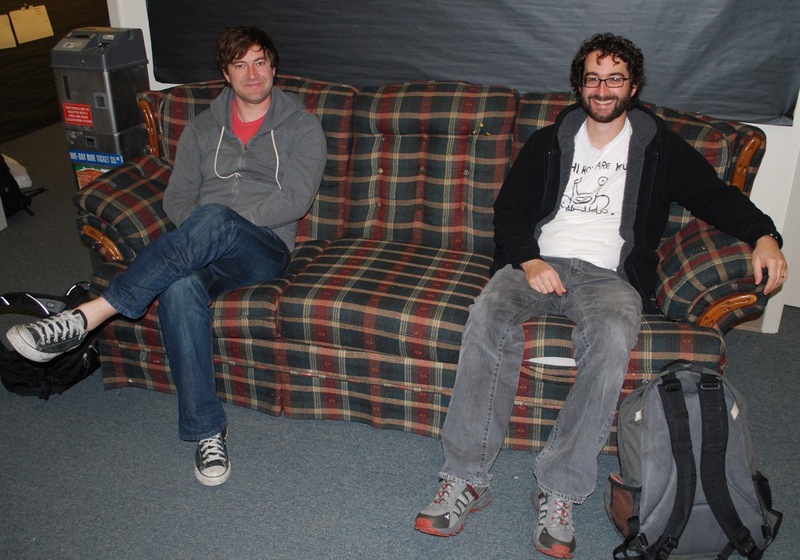 Jay Duplass and Mark Duplass. Screenplay by Mark Duplass and Jay Duplass. Perf. Mark Duplass, Katie Aselton, and Rhett Wilkins. Roadside Attractions, 2005. DVD. This is what I mean about comedies being able to have a style/look to them. The aesthetics of the film, from lighting to composition, aren’t cheapened just because it’s a comedy. Interesting enough, it comes from Thomas Kloss who may remind some of Fear. Don Jon is his best film in terms of creativity in cinematography, and hopefully he works on another one with Joseph Gordon-Levitt in the future. The feelings I get from Don Jon are that Joseph Gordon-Levitt really is that guy. He’s believable, from the voice-overs to the sinister stare he gets when on the prowl for his next hook-up. I keep trying to remind myself of the dorky kid from 10 Things I Hate About You. Scarlett Johansson plays both trashy and privileged well. Her character is obnoxious, but I enjoyed her in the role. Tony Danza isn’t a babysitter anymore to say the least and he’s great in this film along with his hilarious on-screen wife played by Glenne Headly. Brie Larson hardly speaks in this film and still adds to the dysfunctional family dynamics. Julianne Moore cries and gets naked. That should be the title of her biography. I find it impressive when a director gets such powerful performances while starring in the film as well, like Ben Affleck in Argo. They don’t stand behind the camera, watching from the same perspective as the audience. It’s much more subjective and interactive and I think that takes a different set of skills from a director. You watch Don Jon and can’t help but realize that Joseph Gordon-Levitt really did what he wanted with his film of which he is the director, writer, and leading man and that he did it well. It’s different and entertaining. The film is unapologetically what it promises from its trailers and Joseph Gordon-Levitt definitely has my respect and blessing as director for being especially ballsy (points for my most appropriate use of “ballsy” ever). The structure of this film is basically what’s seen from the trailer in that it’s almost a feature-length montage sequence. The paralleling of the same scenes in certain locations works for Don Jon by not slowing down the pace or losing any of the film’s humor in the repetitions. 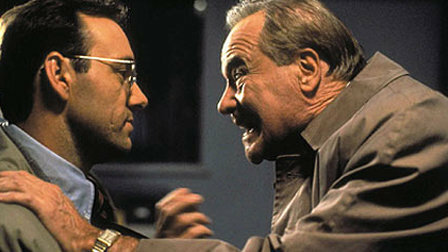 The repetitions also play off the film’s emphasis on one-sided relationships in clever ways, especially when Joseph Gordon-Levitt’s character confesses his sins to an indifferent priest whose identity remains unknown. The third act falls short when it becomes reminiscent of lovable, dark comedy from the early 70s, which I’ll leave unnamed to avoid Don Jon spoilers. The ending is too awkward for this film mainly because of how forced it feels in relation to backstories and character arcs. Still, I admire this film for pushing boundaries and not holding back on its premise. 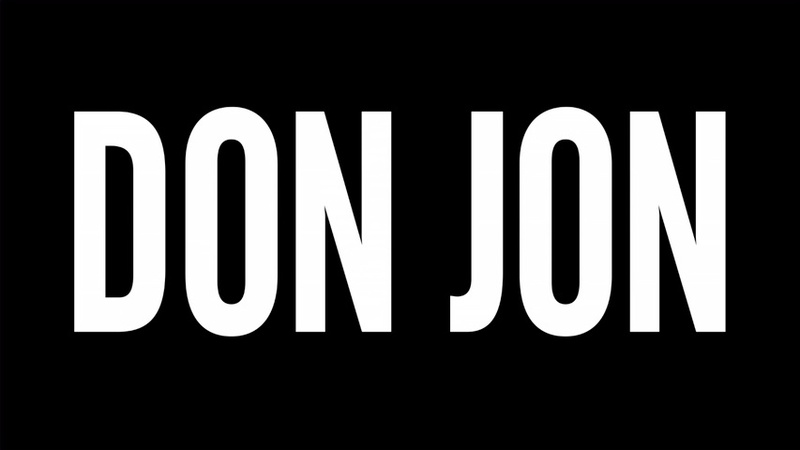 Nathan Johnson, who composed other films starring Joseph Gordon-Levitt such as Looper and Brick, scores Don Jon. It’s nice that Joseph Gordon-Levitt got to know the people working in those departments on his non-directorial films and that he appreciated their work. Now as a plug for Brick, everyone should see it. It’s probably the best work from either of them and it’s completely underrated. I had no idea who the cinematographer for this particular film was, but as I watched it I kept thinking of how incredible it all looked. It felt familiar, too. 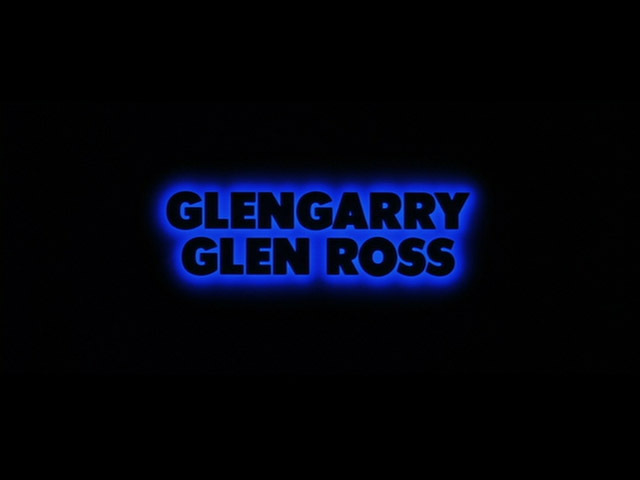 When the end credits rolled, seeing the name Roger Deakins made perfect sense. 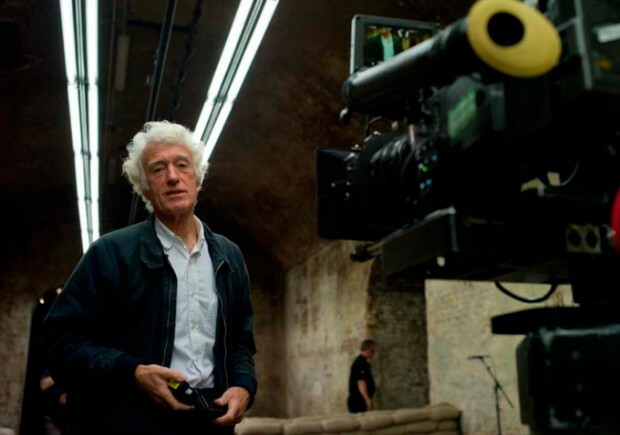 Deakins, one of the greatest directors of photography, can do no wrong. A very small handful of men find themselves in his league, such as Kaminski and Richardson. With 10 Academy Award nominations, this man is the Meryl Streep of cinematography. His work has a mesmerizing quality of elegance. In Prisoners, the subtleties and smoothness of his camerawork are hauntingly impressive. The lighting for this film is intentionally consistent, unlike Skyfall’s variety, so the film maintains its performance-driven quality. His lighting, while not being overpowering, is still striking; especially in a moment where Detective Loki throws open a door to a basement. With negative space and scenery, Deakins creates the sense of a tension that is both beautiful and disturbing within the shots. Prisoners contains a large group of people who know how to nail mannerisms, even for somewhat vague roles. This proves the power of emotionally driven performances, even when all the background information doesn’t lend itself to dialogue in the script. Jake Gyllenhaal, Paul Dano, and Hugh Jackman really did their homework and threw themselves into disturbing roles of characters with moments of contempt and redemption. Viola Davis, Maria Bello, and Terrence Howard play the broken-down parents of missing children with depth, and Melissa Leo is almost unrecognizable. Denis Villenueve pushes these actors over the edge. He does not hold back in presenting the horrors of this film’s subject matter, and that is what a movie with this kind of a context needs. This is not the kind of film for playing it safe and the pacing of this film never slows down or speeds up where it should not. It hits those beats with ease, even for a film that goes well over 2 hours. This film must have had an incredible editor as well. This is screenplay is an emotional roller coaster. The moments rise and fall in heartbeats, and in numerous moments I caught myself gaping at the screen, literally on the edge of my seat. It gives hope as fast as it takes it away and has you questioning right and wrong throughout. There are controversial motives in this script, but it is the ending that leaves most viewers divided. Aaron Guzikowski leaves the final moments open for interpretation, where many hope for more closure. Still, even with its twists and turns, how often is there closure in these real-life situations? The answer is hardly ever, and the screenplay provides more closure than it may even need to. Sure, it’s an open ending that fades out moments too soon for some, but whatever comes after should be obvious. The ending, while not perfect for everyone, is perfect for the film. It is an ending that leaves a lingering feeling with you long after the film finishes, and haunting and hopeful feeling that’s hard to shake off and is much more powerful than relieving every emotional wound this film inflicts. I am not sure I have ever experienced more stress watching any other film. Probably not, and a lot of that goes to Jóhann Jóhannsson’s score, which is as seamless to the film as Roger Deakins’ camerawork. The score is subtle as well, which is admirable. Sometimes scores, in a self-indulgent way, draw too much attention to themselves for these sorts of stress-inducing films, but like the lighting, this score does not overpower. By not overpowering, it elevates the emotional drive of the film. It’s beautiful. George Clooney doesn’t need to mention it as much as he does because we all know it. The reflections in the space-suit helmets, the pitch-black starry sky, and the appearance of Earth are a lot more believable than any other space films. The best part of the cinematography though is the intricate long takes that draw you in right from the opening sequence, with a camera that feels like it’s floating and spinning in zero gravity along with the astronauts. It’s a film full of long takes that reminisce that really amazing car scene from Children of Men. The entire film ends up feeling so much like a long take that I began forcing myself to pay attention to when there would finally be cuts. Needless to say, Emmanuel Lubezki, who works frequently with Cuarón and likewise has an adaptable filmography, nails the negative space as well. A space film isn’t awesome without negative space anyways. It’s a good thing Sandra Bullock got this role instead of any of the other potential actresses. She’s emotional, she’s funny, and she’s honest. There’s never a sense that she’s trying too hard to sell the believability of a scene, and she definitely made me nearly want to cry at one point (that rarely happens for me). There are a lot of emotional shifts that go with her character and she eases well into those transitions. Give her another Academy Award, especially for that whole final act. George Clooney plays a charming , space-man version of George Clooney. That’s basically it, and you love him for it. It’s easy enough to picture Robert Downey Jr. in that role he almost had, but that shouldn’t take away from Clooney. His character is just the space partner Bullock’s character needs, and I’ll leave it at that before I give away too much. Alfonso Cuarón’s filmography exhibits a versatile range of films, all of which he executes well. 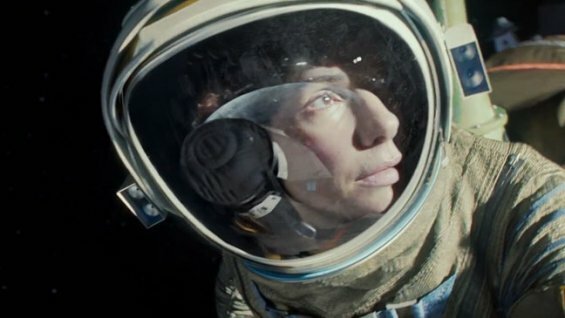 Gravity is no exception, and it’s arguably his best cinematic endeavor, although that’s a tough contest against Children of Men, Y Tu Mamá Tambien, and my personal favorite of the Harry Potter films. What is there to say except that this guy is a genius? In his films, no matter how elaborate or action-oriented, the best thing he accomplishes is getting to the emotional core through subtleties in the performances of his actors. 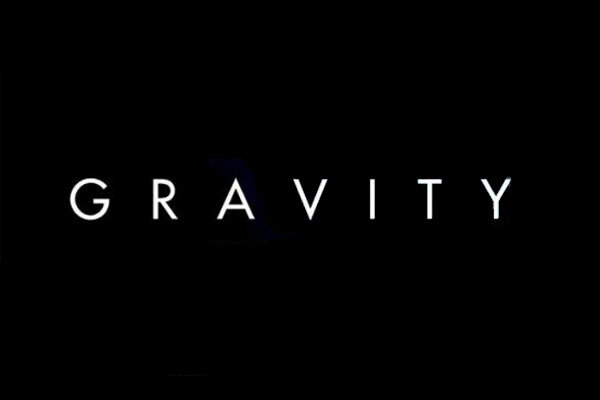 Gravity, written by the director and his son, provide a satisfying amount of backstory for its characters. That’s obviously important for any film, especially ones with minimal characters for audiences to, no pun intended, gravitate towards. More importantly for this film in particular, without giving anything away, is that the backstories add an extra layer for the audience putting themselves in the character’s positions. Would we just give up? Would we be so optimistic, calm, or trusting? Would we make or accept those sacrifices? There’s enough backstory for empathy, and that’s crucial for a film that has you holding on to very few characters in one place (yes, in the context of movies I call space a single location). There’s a good balance of existential crisis and humor as well. I doubt that’s easy to pull off, but Gravity makes it appear so. The ending is pretty damn powerful too. I wish I could tell you what it is. Go see this film. Seriously. Steven Price’s score strikes plenty of emotional chords in this space epic. It does a perfect job building tension in an immensely stressful atmosphere while not losing the sense of how amazing the visuals are. It doesn’t take away from the hauntingly silent, breathtaking environment (again, no pun intended… well maybe a little), even though it also motivates a reminder of a horrifying situation. My only issue is the heartbeat sounds interwoven into the score at certain moments, because heartbeats are overdone and I think we can be a little more creative than that. This is the first film review I ever wrote and it’s also featured here. Training Day and The Bourne Ultimatum had a kid. They named it Safe House. However, these over-protective parents lived on the fearless side of action-movie life; it seems that they were slightly traditionalist in teaching when it came to their cinematic progeny. Even so, Safe House runs throughchase scenes with thrill-kicking baby steps where good cop/bad cop characters and treacherous government agencies cross paths in a sordid South Africa. While Safe House is somewhat cautious, it is still a well-acted, engaging, tug-of-war film that stays true to its action genre. The film’s disadvantage though, may come from David Guggenheim’s script because the traitor’s reveal does not surprise much and viewers probably won’t feel sympathetic toward many characters falling victim to the first, lethal step in the action-movie formula. Even in Training Day, we feel the injustice of a drug dealer’s death, and Jason Bourne loses not only his true identity, but also a love interest somewhere in his trilogy. 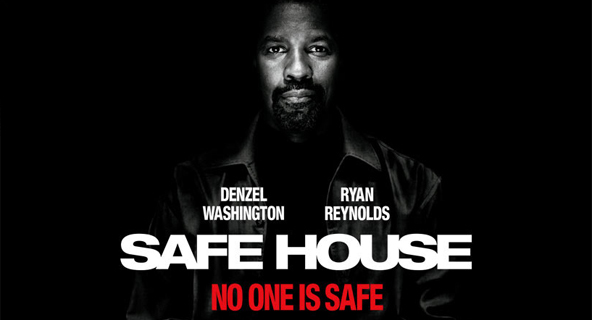 Regarding Safe House, there is a massacre of men from early on in the film by mysterious characters who are after the notorious, former CIA agent Tobin Frost, played by Denzel Washington. The men fighting off the intruders include Frost’s cross-examiner and his team. 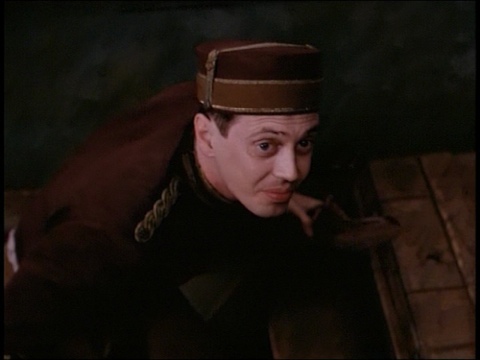 Prior to the entrance of the intruders, the cross-examiner orders the disabling of cameras in the safe house for an undocumented, torture-filled interrogation of Frost. After these unethical actions, viewers have no reason to feel sympathy toward the cross-examiner and his comrades once the shoot-out begins. Now obviously the bad guys win this fight or the story stops there, after an easy victory about 20 minutes into the film, so screenwriters should at least make viewers feel the impact of the loss of life by having characters worth caring for. Here is an easy solution, Guggenheim; think backstory. 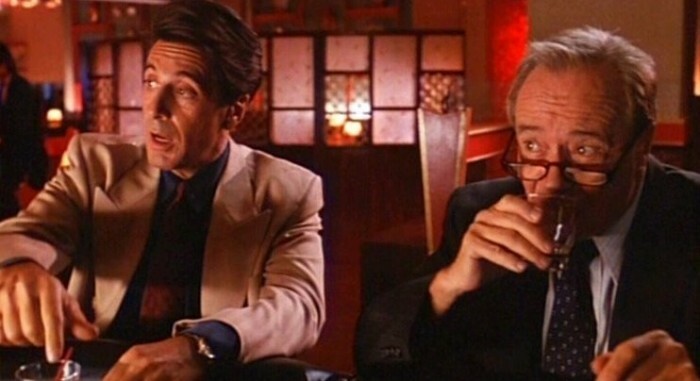 Even that poor cop in Reservoir Dogs, had a family, and even the Joker’s concocted story of his scars presents itself as a believable, sympathy-inducing tragedy the first time it is heard inThe Dark Knight. While no Quentin Tarantino or Christopher Nolan masterpiece of a screenplay, Safe House still provides two main actors who give impressive performances. Ryan Reynolds, especially, makes a dedicated effort to prove himself outside of the comedic roles where he seemingly now has a comfortable, cushioned seat eternally waiting for him in that genre. When his character, subordinate CIA agent Matt Weston, ends up being the man who must keep Frost within an arm’s reach and bring him to a new safe house, Reynolds’ Weston shows a range of emotions while never abandoning his moral code. At first, Weston spends his monotonous workdays answeringphones, twiddling his thumbs, and endlessly waiting for a less sheltered job. Nothing says, “I need some ominous, Denzel Washington type of apathetic criminal as a house guest” quite like that kind of inactivity. Frost tells Weston, “First rule is to protect your house guest. I’m your house guest,” and so the party begins. For the rest of the film, Frost tries escaping Weston’s rookie handcuffs while Weston tries keeping Frost cuffed to anything conveniently around. So the CIA’s most-wanted double-crosser and, quite simply, a really good person are unenthusiastically attached. Inevitably, they show their effects on each other. 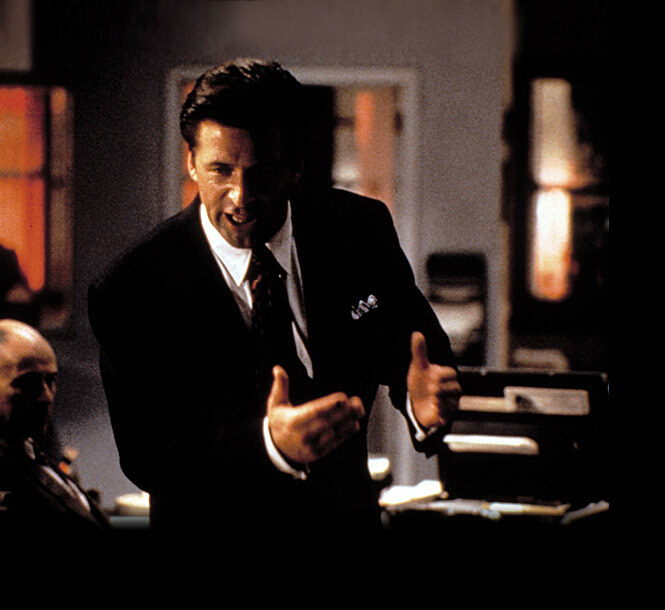 Dynamic characters develop throughout the film; they learn, adapt, gain insight. Skilled actors must convey this character development. Reynolds does that during Weston’s “bonding” time with the icy Frost—puns intended. He goes from being a crying, nervous beginner to a confident, unstoppable justice seeker. Not bad for the guy in all those romantic comedies. 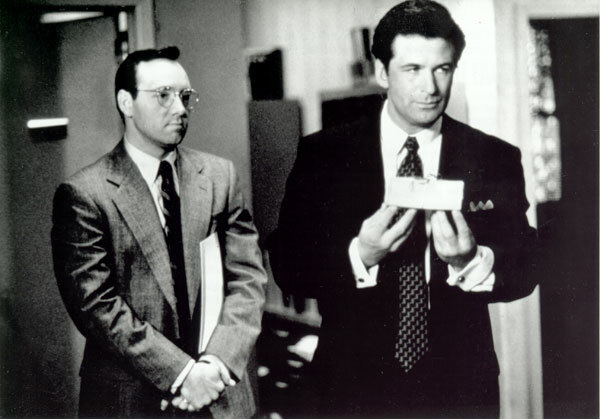 Washington “good guy” roles exists in films like Inside Man and The Taking of Pelham 1 2 3. His criminal, ruthless, and reprobate characters, like Detective Alonso Harris in Training Day and Frank Lucas in American Gangster, have far more complexity and disquieting intrigue. Add his Safe House character to that list. At times, Washington seems like playing Frost is too easy, but he is at his best when with his character’s foil, Reynolds’ Weston. The two effectively challenge each other at packaging their relationship of being both enemies and comrades for a neat delivery. Safe House‘s director, Daniel Espinosa, also effectively borrows from The Bourne Ultimatum‘s use of shaky cameras. The camera—or eyes of the audience—places viewers in the middle of the action, next to the characters, or even with their point of views. 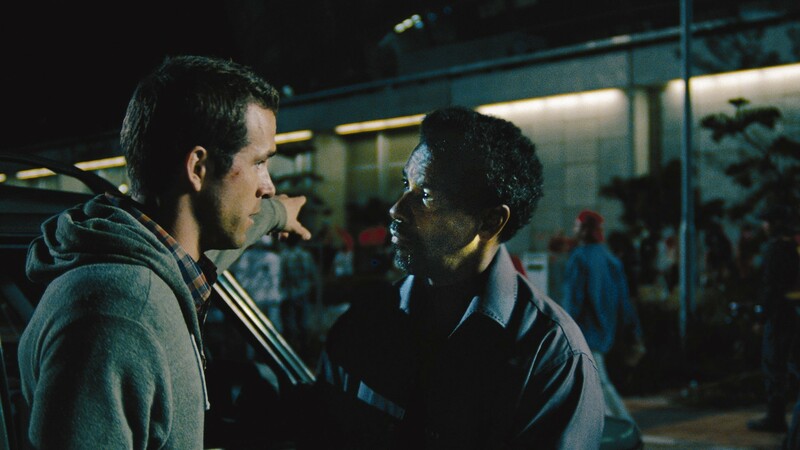 If characters are crashing through windows or involved in violent brawls, as seen in Safe House, shaky cameras put viewers on edge in an engaging, suspense-building way. Unsteady cameras make viewers feel as if they are also running with the characters rather then sitting and watching the action stroll by. So, Safe House is not a mere infant walking, running, and jumping off buildings in its parent’s deadly footsteps. It is more like a wunderkind Bourne in good Training, but still young at that. Safe House colors carefully in the lines of the genre’s formula, but at least that means there is no incomprehensible mess all over the page, or big screen.